“Shucks, if I throw Stipe Miocic into any harbour, he probably drowns,” Aussie headliner Mark Hunt laughs. “And how do we fight each other if he’s dead? “Other fighters might like to talk trash but I’m fairly civil. Especially at this level. 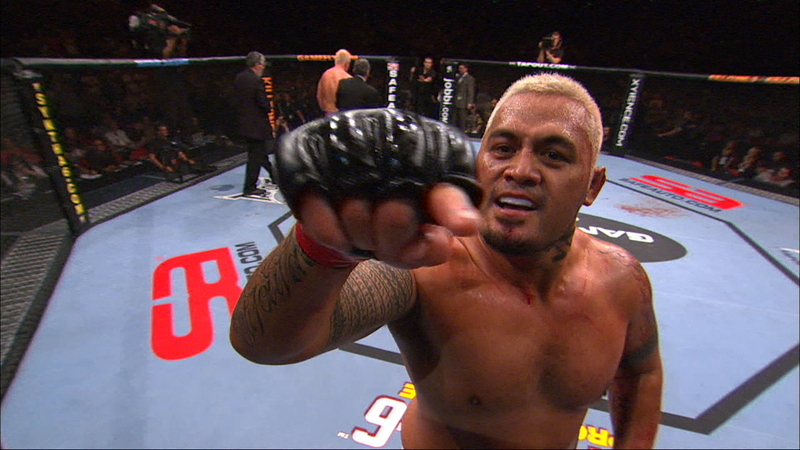 This entry was posted on March 13, 2015 at 9:14 am and is filed under Kickboxing, Martial Arts, Real Men with tags Mark Hunt, Stipe Miocic, UFC. You can follow any responses to this entry through the RSS 2.0 feed. You can leave a response, or trackback from your own site.